Queensland Performing Arts Centre, Brisbane. August 28, September 3 (matinee), September 3 (evening), September 4. 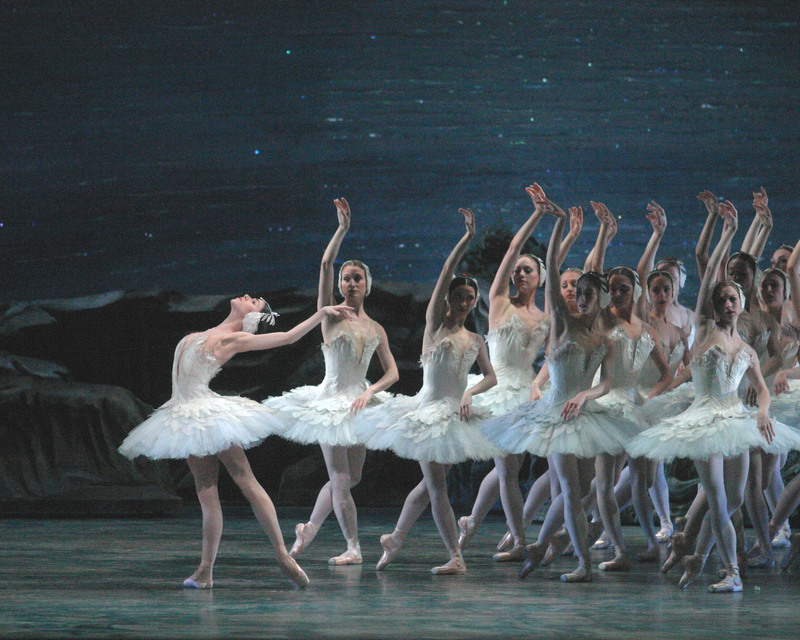 THE first act of Kevin McKenzie’s Swan Lake ends as evening falls. Prince Siegfried has hurried away from his birthday party with no ceremony, disquieted by the realisation his carefree days are numbered. Because he is about to become king – this is no ordinary birthday; this is his coming of age – his mother has said he must marry. In McKenzie’s version of this endlessly fascinating ballet there are some aspects of the narrative that are drawn too sketchily and details to quibble over, but after seeing four performances I have been won over by the central idea. With Zack Brown’s storybook designs providing a sumptuous setting, McKenzie creates a fantasy world in which myth can thrive, in which a sorcerer could cast a spell that turns a princess into a swan by day, and in which he can himself shape-shift between monster and suave nobleman. The atmospherics are nowhere better captured than at the Act I finale, in which the peasants who have been enjoying Siegfried’s festivities are the last to leave. Without the aristocracy present and bathed in Duane Schuler’s lustrous lighting design, they start gamboling more freely as the light fades, picking up wine goblets to take with them as they depart. I was reminded of Matisse’s painting La Danse, which celebrates the primal joy of communal celebration, and it is an image I will carry with me for a long time. All this can only work, of course, if the dancers persuade one to enter their imaginative realm. There was much to interest balletomanes. Misty Copeland made her debut as Odette and Paloma Herrera gave what was possibly her final performance in the role – the decision will come when Swan Lake is staged in ABT’s next season, which will be Herrera’s last (she recently announced her impending retirement). Newly minted principal artist Isabella Boylston appeared (unfortunately I missed her and Daniil Simkin, but people raved; I also missed Veronika Part). Martine Van Hamel, former ABT great, played the Queen Mother at some performances and radiated command. Recently elevated soloist Joseph Gorak showed why he has been plucked from the corps and two men still in the corps, Arron Scott and Calvin Royal III caught the eye. Yet another corps member, Thomas Forster, made a saturnine, panther-like Von Rothbart in several casts. Three conductors shared Swan Lake duty over the nine performances, two of them with Australian connections. Music director Ormsby Wilkins was born in Sydney and was The Australian Ballet’s resident conductor in 1982, thereafter being a frequent guest conductor while making his career in the northern hemisphere. ABT principal conductor Charles Barker was the AB’s music director from 1997 to 2001 and is married to former AB principal dancer Miranda Coney. Each directed the Queensland Symphony Orchestra quite differently, and each time the QSO acquitted itself handsomely. The ABT season, the company’s first in Australia, unfortunately got off to a lacklustre start. There may have been extenuating factors. David Hallberg was to have partnered Hee Seo on the August 28 opening night but withdrew relatively late to have ankle surgery. Cory Stearns was moved in. Whether it was jetlag or just one of those unfathomable matters of chemistry who knows, but Seo and Stearns failed to catch fire. Seo has many beautiful qualities as a dancer but looked uninvolved, Stearns operated on one supercilious level and the relationship was unprofitable. Alexandre Hammoudi’s Act III Von Rothbart was therefore left to provide the fireworks, and if Von Rothbart is the highlight of the show there’s a problem. The corps was untidy too. Not a great night all round. I returned a week later to see Copeland’s historic debut as Odette. Tucked away at a Wednesday Brisbane matinee she gave an impassioned performance that brought the house to its feet. Her Odette was intense, warm and dramatically alert; her Odile sparkled seductively. It was a wonderful first performance. Indeed, it was the only one to bring tears to my eyes, even though her Siegfried, Hammoudi (also making a debut) was off form technically. Still, he partnered beautifully, and that ultimately mattered most. That evening (September 3) Gillian Murphy gave an entirely different performance, imbued with the deep, deep understanding she has absorbed over many years. She, more than any other I have seen, evoked the eternal nature of Odette’s predicament. She was captured aeons ago and there is nothing but sorrow in her future. All those years in Von Rothbart’s thrall have altered her irrevocably. Murphy’s Odile was equally distinctive – fascinatingly hard, cold and vindictive. James Whiteside’s all-American boy Siegfried (divinely danced, with a blinder of an Act I solo) didn’t stand a chance. On September 4 Paloma Herrera was stupendous, filling the stage with old-world glamour of a kind exceptionally rare these days. She took much of Odette’s choreography incredibly slowly – David LaMarche conducted – and claimed rapt attention at every instant. 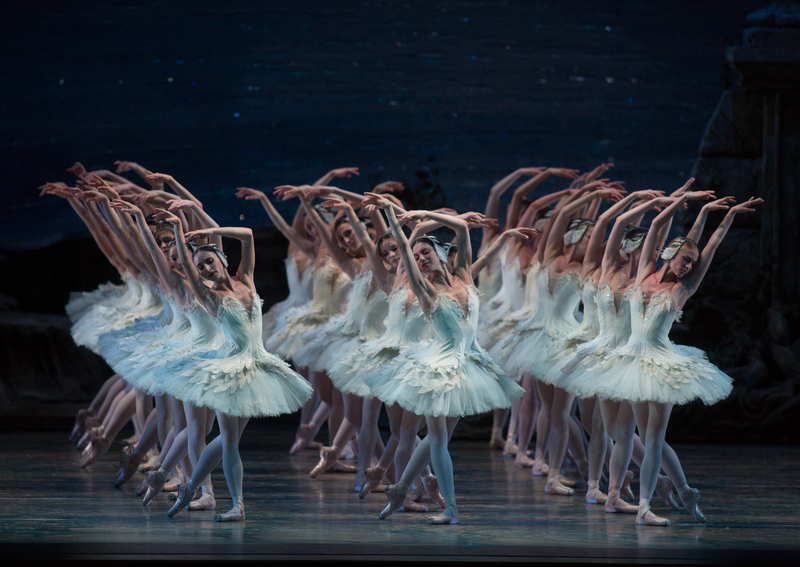 She commanded the stage more as a distillation of Swan Lake’s themes than the embodiment of two opposing characters. She seemed somehow abstract, yet entirely mesmerising. Odile has a balance on pointe in arabesque that often lasts only a split second; Herrera held it for an age: poised, implacable, timeless. Herrera has been a principal with ABT for 20 years and looks as if she could dance another 20. If it turns out this was her swan song, if you will, it was a great one. Herrera was partnered by Stearns, whose dancing was as handsome and velvety as it had been on opening night but this time he was engaged and vivid. He looked an entirely different man. I’m sometimes asked how I can go to the same show again and again. It’s because it’s never the same show, not ever.